For this concert of Early Cantatas by J.S. Bach (BWV 4, 131 and 106) and G.P. Telemann’s Du Aber Daniel, EMV welcomes back Gli Angeli Genève, a Baroque ensemble based in Geneva and led by baritone Stephan MacLeod. Considered to be one of Europe’s top ensembles specializing in the sacred music of J.S. 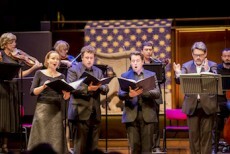 Bach, Gli Angeli Genève is an ensemble of soloists who are regular guests on stages all over the world. They were most recently the ensemble-in-residence at the Utrecht Early Music Festival in 2016. They record for Sony Classical. It is the ancient law: Man, you must die! Es ist der alte Bund: Mensch, du mußt sterben! Despite the modern world’s obsession with prolonging life and extending youth through healthier eating, regular exercise, expensive medications, surgeries of all types, yoga, and meditation, the fact remains, we are all heading to the same place eventually. For many of us in the twenty-first century, especially those of us who live without a faith in God, we would rather change the subject than make death the focus of regular conversation. In the 17th and 18th centuries, however, people took a different approach to a subject that was then much harder to ignore. In the wake of the Thirty Years War, and without the mercies of modern medicine, death was ubiquitous. People found comfort in the idea that, though life on earth was miserable, it would not last long, and they had eternity in Heaven to look forward to. All the works on tonight’s programme are gloriously beautiful meditations on the release of death and the joy that awaits in paradise. Despite the gloomy subject matter, the genius, imagination and hopefulness of these works is life-affirming and mystifying regardless of whether you believe in an afterlife or not. Christ Lag in Todes Banden, BWV 4 (Christ Lay in the bonds of death) is an early cantata written while Bach was still in his early 20s. It demonstrates his already masterful ability to transform text into musical figures that create a whole far greater than the sum of its parts. Likely written in 1707 as an audition piece for the position of organist at Muhlhausen, it is the only one of the early cantatas that we know Bach later revised and revived in Leipzig. It is hard to imagine a more perfect realization and augmentation of Luther’s chorale text in which the inevitability of death is balanced and ultimately defeated by Christ’s gift of everlasting life through his own suffering and death. One of the most frequently performed of Bach’s cantatas, it introduces a myriad of rhetorical devices to evoke not just the seriousness of sin and death, but also the glory, joy, love, and hope of salvation. There is no better argument for following along with the translations in your programme book than this extraordinary work, which includes some of the most effective word painting in the history of music. In his highly-recommended recent book, “Music in the Castle of Heaven”, John Eliot Gardiner devotes a compelling and heartfelt thirteen pages to elucidating how Bach mirrors and augments Luther’s text in a movement by movement analysis. Likely written for the death of a dignitary, the compositional date of Georg Phillip Telemann’s Du Aber Daniel (Go thy way Daniel) is uncertain. Telemann wrote an astonishing 1400 cantatas, and this one is considered among his very best. It uses the new sacred cantata style, alternating recitatives and arias in the style of secular and operatic works of the period. The text, the final verse of the Book of Daniel, expresses a yearning for the release of death and the promise of the afterlife to come. ‘But go thou Daniel on thy way and take thy rest, for thou shalt receive thy just share at the end of days.’ (Daniel 12:13). For this reason, and for its similarly intimate instrumentation featuring the gamba and recorder prominently, it has long been associated and favorably compared with the J.S. Bach’s Actus Tragicus, BWV 106. The origin of the epithet “Actus Tragicus” is not clear, as it appeared in a manuscript dating from after Bach’s death. What is abundantly clear, however, is that despite being one of his earliest works, Gottes Zeit ist die allerbeste Zeit, BWV 106 (God’s own time is the very best time), stands out as one of the most profoundly moving sacred works ever written. Likely composed for the funeral of his uncle, Tobias Lämmerhirt, who died in Erfurt on 10 August 1707, it is a masterpiece that makes a powerful distinction between the dark reality of the ancient, Old Testament law that we all must die, and the redemptive power of Christ’s love. There is no more beautiful moment than the middle of the piece, when the soprano interrupts the three lower voices in the middle of a dark and thorny three-part fugue on the text “It is the ancient law, Man you must die”. This moment acts as dramatic pivot point in which the soprano line breaks the almost unbearable tension, reminding us that despite our worldly suffering and mortality, there is hope: “Yes, Jesus is coming”. Regardless of whether you believe, Bach’s music makes you desperately want to give in to the promise and leave your doubt and worries behind. Perhaps not by chance, this cantata has the reputation of containing a few moments that are fiendishly difficult to realize in performance. The most infamous of these is the passage where the bass soloist sings about the glory of paradise in a range so high that Bach never repeated it again in all his sacred repertoire. It is as if Bach is saying that while you may look forward to paradise, you will get there only via desperate earthly struggle. The final work on the programme is cantata Aus der Tiefen rufe ich, Herr, zu dir, BWV 131 (Out of the depths have I cried unto Thee), often referred to as Bach’s earliest cantata. In 1908, the great theologian, organist, writer, humanitarian, philosopher, and physician Albert Schweitzer said, “I’d trade a hundred of the later cantatas for ten like this one”. BWV 131 is like BWV 4 and BWV 106 in that it does not employ the avant-garde cantata style of alternating recitatives and arias setting contemporary poetry. Instead, it is an unbroken succession of choruses and arias on texts drawn from biblical passages and hymns. Retrospective both in form and timbre, it is an apotheosis of seventeenth-century German sacred music. Though not specifically centered around the theme of death, the text is structured in an oppositional way that balances the misery of sin with the hope offered by faith. The occasion on which Aus der Tiefen was first performed is unknown, but it has been suggested that it was possibly written in connection with a serious fire that destroyed much of Mühlhausen in 1707. As in BWV 106, the listener, like the soul of the believer, needs to wait until the middle of the work for a ray of hope that doesn’t come until the third movement. It is happily worth the wait and the cantata builds to a final chorus that is unequivocal in its affirmation of redemptive power of God’s mercy. Thomas Hobbs is in demand with many leading baroque and early music ensembles, appearing throughout Europe and the US as a soloist in key works from the 16th, 17th and 18th centuries. Current and future engagements include Haydn’s Creation with Israel Camerata in Jerusalem and with the London Philharmonic Orchestra, tours with Collegium Vocale Gent, and Bach cantatas, Mass in B Minor, and Easter Oratorio with the Nederlandse Bachvereniging. Hobbs will also sing Bach with the Musikpodium Stuttgart, and Monteverdi Vespers with the Academy of Ancient Music. Recent concert performances include Damon in Acis and Galatea with Dunedin Consort, Bach cantatas with the Nederlandse Bachverenigning and Ensemble Pygmalion, Bach’s Christmas Oratorio with the Tonkünstler-Orchester Niederösterreich, Tonhalle Orchester Zürich and Le Concert Lorrain. Hobbs has also sung Evangelist in the Bach St Matthew Passion and St John Passion with the Choir of King’s College, Cambridge. 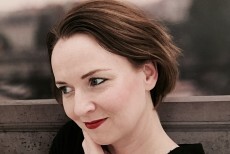 Hobbs’s operatic roles include a critically acclaimed Telemachus in The Return of Ulysses in a new production for English National Opera conducted by Jonathan Cohen, Apollo and Shepherd in Monteverdi’s Orfeo in semi-staged performances with Richard Egarr and the Academy of Ancient Music, the title role in Albert Herring and Ferrando in Così fan tutte. 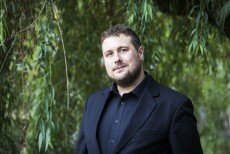 Also a keen recitalist, Hobbs’ recent highlights include performing Brett Dean’s Winter Songs at the Cheltenham Festival, Vaughan Williams’s On Wenlock Edge with the Edinburgh Quartet, Schubert’s Die Schöne Müllerin, Schumann’s Liederkreis, Op.39 and a recital of Mozart songs at London’s Kings Place. Born in Exeter, Thomas Hobbs studied at the Royal College of Music under the tutelage of Neil Mackie, where he was awarded the RCM Peter Pears and Mason scholarships, and at the Royal Academy of Music under Ryland Davies, where he held a Kohn Bach Scholarship in addition to a full entrance scholarship. He was also a member of the prestigious Académie at the Aix-en-Provence Festival, where he performed in concert with Louis Langrée and the Camerata Salzburg. Born in Geneva, Stephan MacLeod first played the violin and the piano and then studied singing with Kurt Moll in Cologne and with Gary Magby in Lausanne. Active all over the world as a renowned concert singer since his early twenties, his desire to conduct led him to establish his own ensemble, Gli Angeli Genève, in 2005. The ensemble has since become one of the most respected European ensembles specializing in period performance. 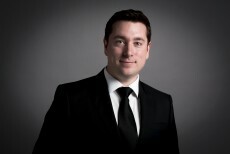 In recent years, he has been invited to conduct a production of Cavalli’s La Calisto in Geneva, Mozart concerts at the Lausanne Opera, a production of Sondheim’s Sweeney Todd in Geneva, Bach Motets with the Netherlands Bach Society, Bach’s Matthew Passion in Switzerland, Germany, and the Netherlands, and orchestral works by Bach and Rameau with the Orchestre de la Suisse Romande. As a soloist, Stephan is particularly active in the oratorio repertoire, particularly under Philippe Herreweghe, Gustav Leonhardt(†), Franz Brüggen(†), Masaaki Suzuki (Bach Collegium Japan), Jordi Savall, Philippe Pierlot (Ricercar Consort), Michel Corboz, Daniel Harding, Václav Luks, Sigiswald Kuijken, Konrad Junghänel (Cantus Cölln), Christophe Coin, Helmut Rilling, Frieder Bernius, Jos Van Immerseel, Jésus López Cobos, Hervé Niquet, Paul Van Nevel (Huelgas Ensemble), and with such ensembles as the Akademie für Alte Musik Berlin, Musica Antiqua Köln, the Freiburger Barockorchester, Tafelmusik, and the RIAS-Kammerchor. 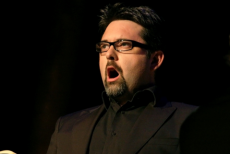 In the opera world, he has sung in several productions in Brussels (La Monnaie), Venice (La Fenice), Cologne, Bilbao, Edinburgh, and Geneva. Stephan currently holds a professorship in singing at the Haute Ecole de Musique of Lausanne and is about to embark on a new concert series with Gli Angeli featuring performances of the complete Haydn Symphonies. 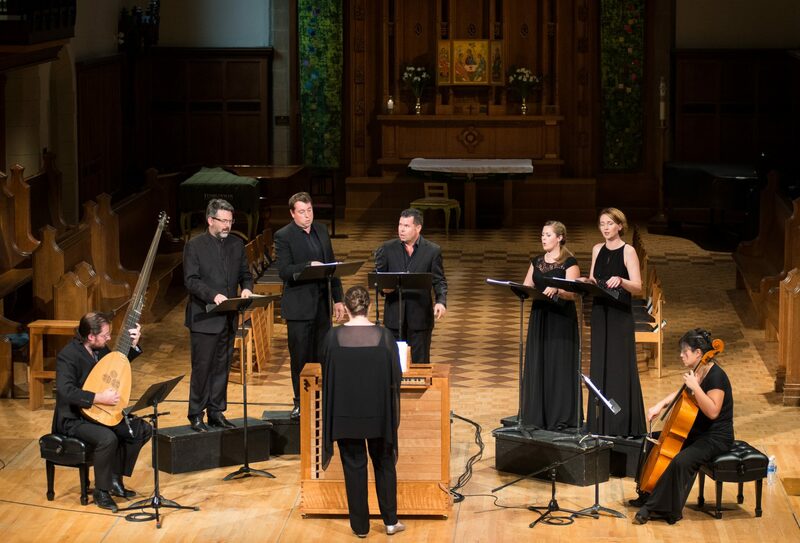 Gli Angeli Genève was founded by Stephan MacLeod in 2005 as an ensemble of varying composition that performs vocal and instrumental repertoire of the renaissance, baroque and classical periods. It is made up of musicians who either have solo careers of their own or who are chamber recitalists in the field of Baroque music, but who are not exclusively active in this clearly defined area; in other words, they perform more than just early music, their eclecticism guaranteeing their enthusiasm and the sincerity of their research. While performing the complete Bach cantatas in a long-term concert series in Geneva, in September 2017, Gli Angeli Genève initiated a new adventure of performing of all Haydn Symphonies over a decade. The ensemble is regularly invited to leading festivals and concert venues around the world. In 2018, Gli Angeli Genève will perform among others in Saintes, Utrecht, Paris, in the Netherlands and in Ottawa.